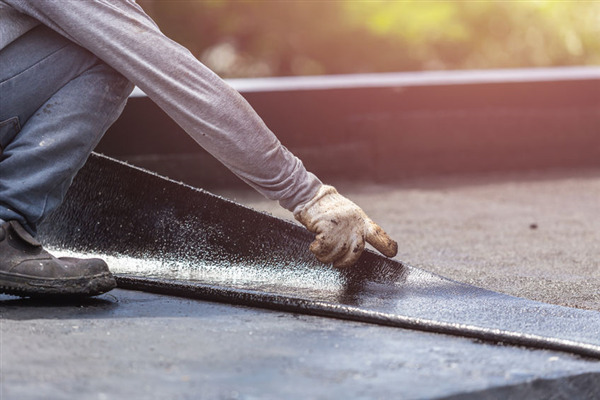 At A-Plus Roofing serving the Twin Cities, we offer commercial roofing expertise in a wide range of roofing systems and can help you navigate the challenges of installing and maintaining your roof. We’ve put together this guide to help you understand how TPO and EPDM measure up when compared. TPO stands for Thermoplastic Polyolefin. It is a single-ply roofing membrane with reflective properties. TPO is made from polypropylene and ethylene-propylene rubber which is polymerized together. TPO is resistant to damage from the sun’s ultraviolet rays as well as chemicals. TPO offers many advantages as a commercial flat roofing system. It offers excellent protection from all kinds of weather, which means it can easily hold up to Minnesota’s harsh winters. Thermoplastic roofs also help reduce heating and cooling costs. TPO is also able to meet and exceed recommended fire protection standards. EPDM stands for ethylene propylene diene monomer. It is a type of synthetic rubber membrane and an elastomer known for its many possible applications. It is often used as a roofing membrane because of its environmental properties. Much like TPO, it provides an excellent barrier to extreme weather conditions, including hail. Additionally, it also resists UV rays and helps minimize heating and cooling costs. It also offers excellent resistance to both acidic and alkaline substances. Just like TPO, EPDM offers a high degree of fire resistance. In fact, because EPDM roofs are virtually impossible to ignite, they may dramatically impede the progress of a fire. EPDM roofs can last as long as 50 years or more, making them an environmentally friendly choice. They are also completely recyclable. As you can see, both TPO and EPDM roofs make excellent, long-lasting flat commercial roof membranes to protect your investment for many years to come. Whether you are concerned with maintaining heating or cooling costs or preventing leaks, our commercial roof membranes offer protection you can trust. Both TPO membranes and EPDM rubber membranes are terrific choices for commercial roofs. To install your commercial flat roof membrane, give us a call at 952.894.5435, or contact us for more information.